Well, what a whirlwind week! My obscene lack of posting means it must’ve been a busy one. I’ve been in London for a few days, catching up with my favourite bloggers, popping in to a few press days and attending the Cosmopolitan Blog Awards. 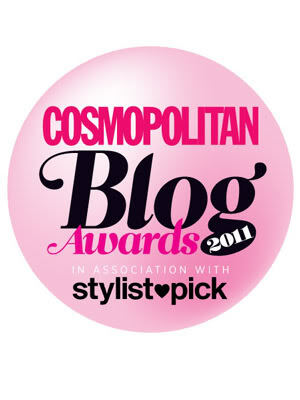 When I found out I was shortlisted for a Cosmo Blog Award, I was quite gobsmacked. I won’t patronise you with the whole ‘humble blogger’ thing – it’s not that I didn’t think I deserved it. I put lots of work into A Little Bird Told Me and I wouldn’t spend so much time on it if I didn’t think it was worth it. But there are so many blogs out there, some with actual millions of readers. There are also lots of London-based blogs that are featured regularly in the mainstream press. To beat off such stiff competition seemed like an impossible task. But I did it! The awards were held at Bond in central London. There were cupcakes and (extremely low alcohol content) Cosmos, of course. But my favourite feature was the wall projection, which displayed all the blogs shortlisted alongside a quote from someone who nominated them. This is mine – I was truly touched to read it. If the author would like to step forward, I have a virtual hug waiting for them! 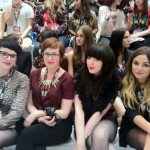 Photo courtesy of the Cosmo street style snappers, who got me mixed up with the lovely Vicki. If only I really did have her fabulous hair! The dress code was ‘awards fabulous’ which immediately sent me into a panic spiral. I don’t own fancy clothing! Eventually I decided on my Zara sequin pencil skirt, teamed with a Zara velvet tee, French Connection courts (which crippled me, as always), an ASOS clutch and Mango necklace. In this photo I was using the clutch to hide my food baby. Just like the celebs! I didn’t win, but that’s okay. 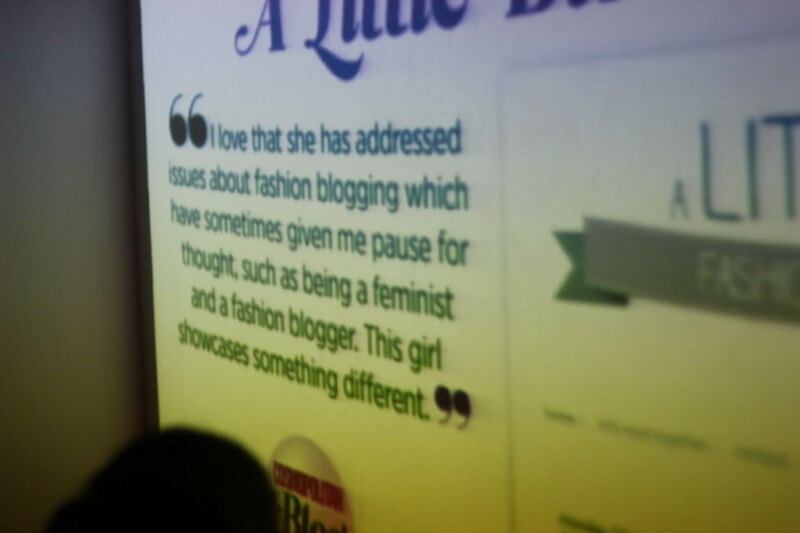 I was beyond delighted to be there with so many talented people, and the fact that a mainstream media powerhouse like Cosmopolitan is recognising and embracing bloggers is a prize in itself. And as well as being a wonderful way to reward bloggers for their hard work, the awards are also a goldmine of inspiration and new reading material. Just check out the list of winners! I have a special post lined up for tomorrow to say thank you to everyone who reads Little Bird, but for now I want to say thank you so very much for nominating and voting for me in the Cosmo Blog Awards. 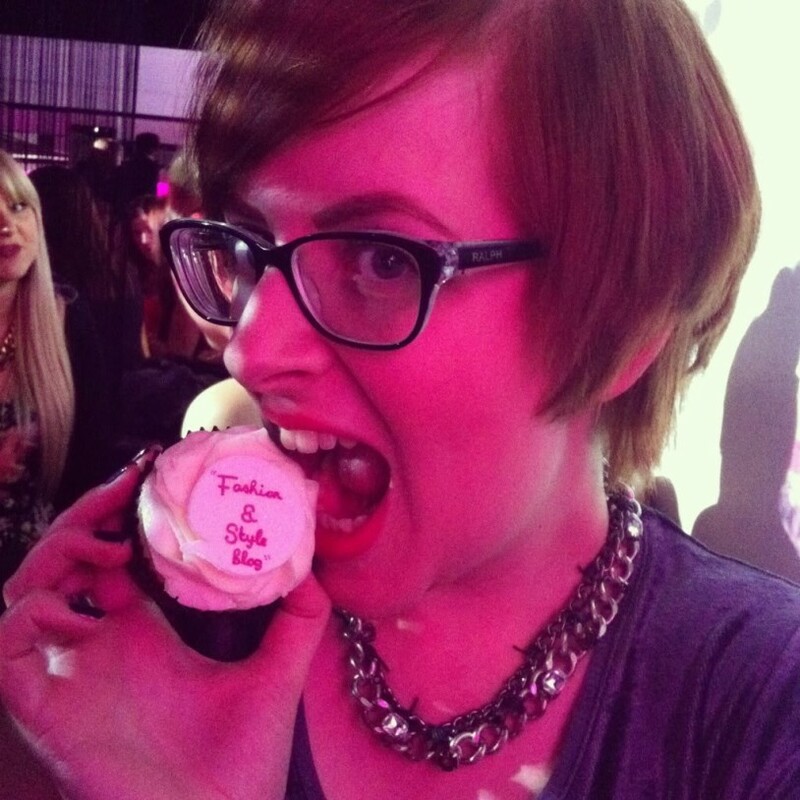 It’s your support and interaction that makes this blog what it is, and for that you all deserve a cupcake. Not that I have enough for everyone (or any at all, in fact). But you know what I mean. Were you at the awards, or did you follow the evening on Twitter? What do you think of the winners – have you found your new favourite blog? Well done for getting a far as you did! I absolutely love the fact you didn’t wear a LBD! the sparkles are perfect! Well you obviously know I was there, stalking the canapés and acting like an idiot in front of the photobooth as per. Glad to see your perspective of events, it’s probably just as well the cocktails didn’t have much alcohol the way I was knocking ’em back! I will adopt your food baby pose whenever I wear my pencil skirt, you look fab! It was great to see you down here for a few days, don’t leave it so long next time, there’s cheese to be nibbled! 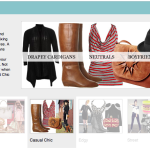 Congratulations on just getting there – I always enjoy your blog and your take on fashion. You look wonderful at the awards – the panic paid off, obviously. Congrats on being shortlisted Jen, your blog is a constant fab read for me, and I’m always looking out for a post from you. 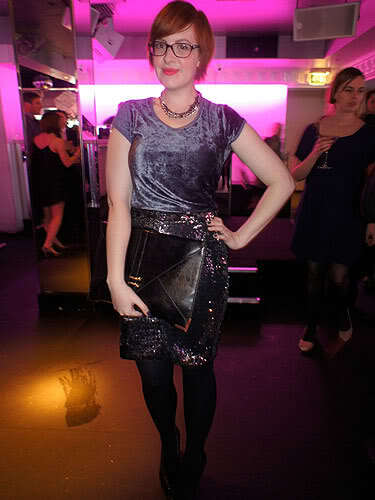 Great outfit, love the sequins and the clutch is amazing. I thoroughly enjoy the way you write, Jen. Your blog is a joy to read, and I think your shortlisting was well-deserved. Congratulations! Glad you had a rad night.x. So many congratulations on your nomination – you totally 110% deserved it. I was talking to MJ yesterday at the Aussie party about how in awe we both were of you – you are a one woman blogging machine! And on top of that one of the loveliest bloggers ever. So congrats and just keep doing what you’re doing! I love your outfit 🙂 it was great to see so many of my faves nominated (including you of course)! Well done any way such an achievement. That is a fabulous outfit! 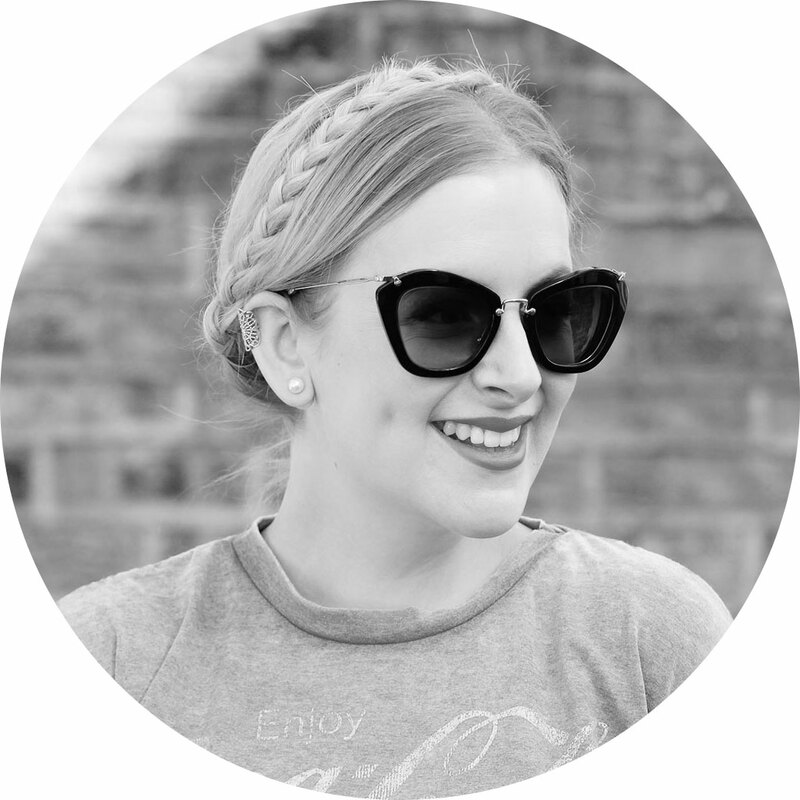 Yours was one of the first blogs I discovered, and one that really inspired me to become part of the blogosphere! I followed the evening on twitter and it looked fab! I agree, congrats indeed on just getting shortlisted, and you did definitely deserve it, as you’re amongst a couple of blogs that I always read and enjoy and actively look forward to there being a post from! I’m rather enjoy all this ‘awards outfit’ posts amongst the blogsphere….I actually really dig yours, like the mix of fabrics. But that being said, I dont think there’s an outfit you’ve posted that I havent been like ‘oooohhhh’. But yeah, there’s always next year! Congratulation for Your Nomination, Hope that you will win this Award! As Far This outfit is concerned a truly rocking outfit and you looks adorable in this fabulous outfit!! Wow, well done. I know it’s a bit of a cliché but it really is an honour to even be nominated. Congratulations! Looks like a reallygreat time!! once again congratulations on being shortlisted! you really did deserve it! i absolutely loved what you wore on the night jen, the velvet tee and skirt are just beautiful! 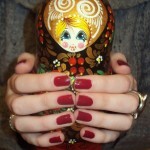 You look totally glam, love it!